The company’s CEO Tim Cook’s team presented some of the best latest iOS features like a preview on the Stage. 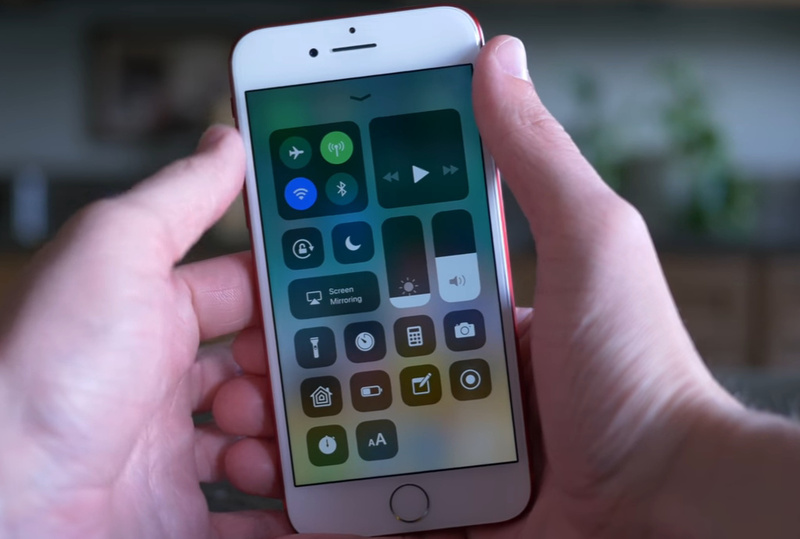 For instance, the new single page Customize Control Center, conversation Sync Messages on iCloud, Apple Pay cash to send money via iMessage, and much more. Among all of them, the impressive feature for me is Screen Recorder on iPhone. Yeah, a brand new function to record the screen of iOS running Apple device. Big Advantage of the iOS built-in Screen Recorder with Voice sound is that you don’t need to download any third-party app/ record screen without jailbreak tweak as well as without the use of Mac/Windows Computer. Here’s everything about iOS Screen recorder, where is Screen recorder button in iOS on the iPhone? And how to use Screen recording in iOS. The brand new Screen recorder is placed on the lower right side on the new redesigned Control Center. You can access it on both the lock screen and within the Apps. For that, just you have to need swiping up from the bottom of the screen. (Don’t forget – You must be enabled Control Center in iOS). Now, how to enable screen recorder in iOS or start and stop Screen recording on iPhone running iOS. Step 1. Swipe up from the bottom of the screen to launch Control Center. Step 2. Tap on the circle into circle button; then it looks like a red color circle >, so you’re ready with enable on-device screen recording. Now go to the home screen and follow your task that you want to record. You can appear screen recording is started with a blue bar with the time on upper on the screen. Therefore, it’s also easy to know the time length of the screen recording video/ clip. Step 3. Whether you wish to stop Screen recording, you don’t need hard deal – just tap on the blue bar (Recording and time [minutes + seconds]) appear on the upper on the screen. Step 4. Next, you get a popup message on-screen with two options – Cancel and Stop. If you see something wrong or steps missing, then tap on Cancel to an unsaved recording. And you’re right and satisfied with your job, then tap on Stop. Your screen recording video will be saved into the Photos App. It is straightforward to remove On-Screen Recorded Video from the camera roll as like as a usual way to banish the standard video. Just tap on trash icon lower-right side on the screen. Tap on Delete Video and make sure to delete. Turn on AirDrop on both your iOS and macOS device. Then choose a screen recorded video on your iPhone and open AirDrop to send video to Mac. If the issue gets – here fix, AirDrop won’t Work on iOS or Mac. Get More: how to take a Screenshot on iPhone and use dark mode in iOS. Do you have any trick concern Record iPhone Screen iOS? Let me know in the comments.